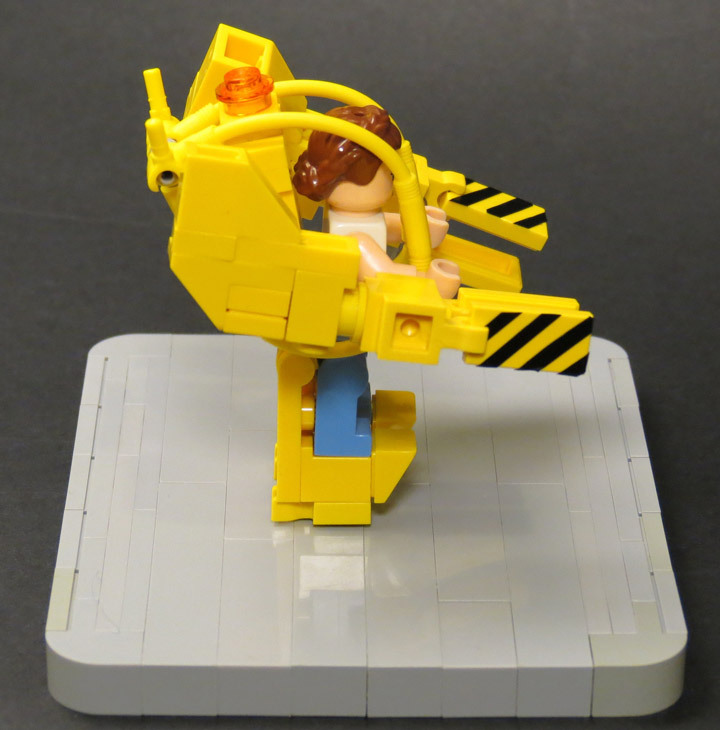 The Power Loader from Aliens is one of those perfect designs for Lego. All sorts of attempts have been made, in all sorts of sizes. The newest, and maybe cutest is the Mini Power Loader, created by Grantmasters. 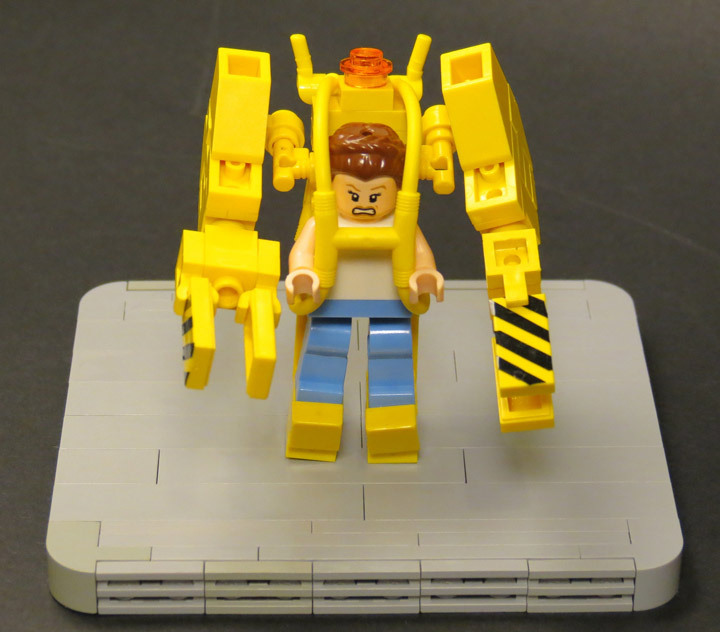 The goal was to create a Power Loader that get close to the Minifigure scale. This is a great example of non-standard Lego techniques being used to create something awesome. Check out Ripley’s legs, they have been pulled off the standard Lego legs. This lets Ripley and the Power Loader pose in many more dynamic positions. Which will come in handy when fighting Alien Queens.